Since last Fall, our Chrome extension has helped thousands of Harvest users track time seamlessly within project management applications like Basecamp and Trello. Users can start a Harvest timer right from either application. Today, we’re releasing an update to make Harvest time tracking even more convenient whenever you use Google Chrome. 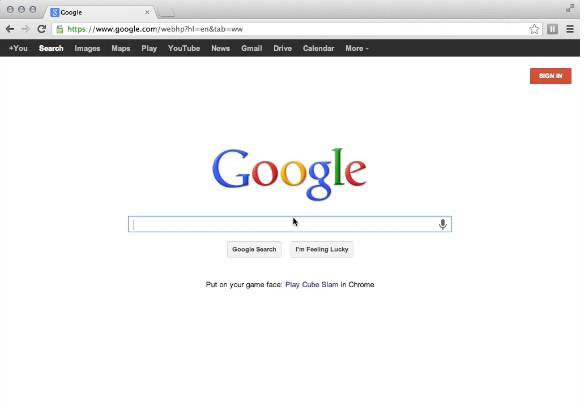 Whether you’re on Mac, Windows or Linux, Chrome is a fast and free way to browse the web. Combining Chrome with the Harvest extension is a great way to enjoy the speed and ease of time tracking on your desktop. Quickly start and stop timers and always know when you have a timer running at a glance. Install Google Chrome if you don’t already have it installed. Install Harvest Chrome extension from the Chrome Web Store. That’s it! This is the first step in making our Chrome extension even smarter to help you work. Enjoy! PS – Looking for more ways to incorporate Chrome into your workflow? Alongside Harvest, check out the complementary business apps for Chrome curated by Google. I love your work but I’m very concerned about the permissions that you require with this new update to the Harvest Chrome extension. Previously you requested access to data from basecamp.com and trello, however now you require access to “all data from all websites”. Why is this the case? I’m not really sure that I’m comfortable giving that kind of access simply to track my time on some Basecamp tasks. What were your thoughts behind this change? Is there any word on a Safari extension? Looks like you need to be logged into Harvest in Chrome for the extension to launch otherwise it throws a socket error. @Brandon – can you describe the issue in more detail and email it to support@harvestapp.com? we’ll get you sorted out. @Luke – sorry, no immediate plans for a Safari extension, but we’re not done yet on this extensions front (and it could benefit Safari). more on this in the coming weeks. @PlymouthRock – thanks for the note, we’re looking into this further. @Nathan – the reason our Chrome extension asks for permission is simply so that it can be activated on whichever page you are on in Chrome. While the permission request *sounds* daunting, for our extension’s purposes, it is simply so that we can fire up Harvest at any time during your browser experience. That’s it. We wish there would be a clearer way to ask for that permission, but that is the default message. If you have further questions, don’t hesitate to let me know. This is so nice! I which I can use have the same on Firefox. How about a feature to optionally capture the current browser URL and track time against that (treating the URL as the permalink for a task, and the page title as the task’s title)? This way for task management systems other than Basecamp and Trello that aren’t specifically compatible with the plugin and don’t support Harvest Platform, my time entries could still link up as long as I click into the task’s permalink first. I have been looking for an extension like this for a long time. One suggestion I have is to have is to use the badge text on the harvest icon to provide a few additional details. * When a timer is active it could show the current timer value to help remind you that it is running and give you a quick check of how long you have been working on a task. * When there is no timer active it would be great to see a sum of time for the current day. This would let you know if you haven’t been keeping up with tracking your tasks. There may be some other ways to use the badge, but these two would make it pretty much perfect for my usage. SO nice… now I can finally get rid of that janky Windows widget! Bleh. This makes things far easier. Thanks for creating! Is that looping tutorial video a gif? It’s really cool! @Danny_Wen, last question. If you use phosphor to turn the quicktime video into an animated PNG, what do you use to record the mouse movements and create the quicktime video? On Google accessible servers, eh? !… Fantastic! Now when the NSA questions me and asks “where were you and what were you doing?” they’ll already have a copy of my timesheet! What a time saver! (Aside from the Google/NSA 4th Amendment issues… this is a great idea and I am going to start using this. One reason I always fall behind in my time cards is because I hate logging in at the end of the day – when I only remember a 1/3 of what I did. Busy as a beaver, you know! My system is a mac 10.8.3. How about fixing IE10 first? Very nice extension. I’ll love it. Is there a way to show the “Project Code” like in other views? I’m using your service to track my working time as remote programmer, and it saves me from timer stress and I always know what to answer ms. Heather Small (“What have you done today To make you feel proud?”). New chrome extention is very nice with all animation and effects, but there is one more thing which could make it even more helpful in my use cases. I’d like to see current timer time on extension icon in browser, so I always know how much time I’ve already spent on current task. Thousands of thanks, guys! You rock! Looks like there’s a slight bug with the search field. While searching for a client project in the “Project / Task” select box it wasn’t bringing up the client and project I wanted. I was sure that we had it added to our system and that I was spelling it correctly. It seems that the standard web page “Project / Task” search field on the website pulls the names of the project AND the client name but the Chrome App only searches the Project name, which is a little bit annoying as we can’t remember all the project names. Hopefully you can add this search change in? Otherwise a good little app for Chrome. Thanks Harvest Team! This is a great add on. I have a team of 12 full time techs using this, and they are all glad to see this. One issue that is stopping me using it – we use projects for both day to day and project work. ALL clients have a project called “Infrastructure Support” for day to day break fix, then we add specific projects like “Exchange 2013 Migration” as required per client. As such, we have 60+ clients with an “Infrastructure Support” project that we use every day. In harvest when I start a new timer/entry I can type the company name while I have the project field selected to filter down to the client, then choose the project. The Chrome add-in doesn’t do that – it only lets me type the project name – meaning I have to scroll through all of my clients to find the right one. Would be great if it could be fixed – at the moment it isn’t a massive time saver for me because of that. And some more text, because apparently that is too short a comment. Yay! It supports start and end times, if configured. Now, if only the Mac widget and iOS apps did the same. I’m having the same issue as @Brandon. I install and button stays grayed out, even while activated. Thanks for having the time to make our lives easier. – Add a badge to indicate the time of the active timer or the time currently tracked. Excited to see an official extension! Though was hoping for a few more features that my current favorite chrome extention (Hayfever) already has. Like a list of my existing timesheet items, so I can quickly switch between them right from my browser bar. Look forward to seeing how it evolves! @Seth The Chrome extension utilizes the Harvest Platform (http://www.getharvest.com/platform), so no UI components are included with the package itself. The few JS files included are designed to embed timers into Basecamp and Trello and also allow timers to be loaded from any webpage using Chrome’s toolbar button. @Liam @Clay I do see that the Timesheet within Harvest allows searching on clients. I’ll make a note to investigate why this isn’t consistent in the extension. @Lisa Several other customers have experienced issues getting the button to properly load timers. We’re investigating this. Sorry for the trouble! Just went through quite a laborious process to uninstall and reinstall Chrome, because it would not update due to error 12. Now I see that what is happening is that it is loading the login at timer way down at the bottom of the browser – under the dark footer of your page. Does not work on Chromium 27.0.1453.116 (206485). @Lisa It looks like the dialog is being loaded at the bottom of the page when first loading the extension… and only in Windows. I’m going to take a look at this. @Jason Thanks for the heads-up. Are you using Windows, OS X, or Linux? Not working on Chrome Version 25.0.1364.97 with Windows 7. Doesn’t work yet so a bit premature on this I think. Installs and then shows silly little timer at the very bottom of a big advert for Harvest (when I am already an account holder and logged in via Chrome)..great! Then closed that window and clicked on the icon again and didn’t open at all. I would withdraw this one guys until you have fully tested it in Chrome. P.S. Love all your other work. @Sam Apologies for the inconvenience. This was an issue that affected the welcome page in v1.1.1 after an initial installation. I pushed out a new version of the extension this morning (v1.1.2) that should resolve that issue and a related one that occasionally caused two dialogs to be displayed when starting a timer from the welcome page after the first install. @Lisa The issue you mentioned has been resolved in v1.1.2 of the extension. Please let me know if you experience any further problems. @Steven @Jason Please let me know if you continue to experience issues after installing v1.1.2 of the extension. If so, please open a request at support@harvestapp.com, and I can further assist you individually. I’m having the same challenge as @Liam & @Clay, adding a comment to keep an eye on the updates. Is there any way to logout and login to a new account. I can’t seem to figure it out!